It’s a sunny, warm February day in California, and downtown Napa is bustling—people queue at Gott’s Roadside for burgers and wait for English muffins at The Model Bakery. It’s early, but my destination is The Wine Thief tasting room on First Street. I want to discover more about Kale, the wine label from Kale Anderson and his wife Ranko. Specifically, I’m wondering how a pre-med student with no interest in wine became an acclaimed winemaker at a young age—he’s only 38. One day, the tasting group put together a “Rhônes Around the World” flight, highlighting varieties like Grenache, Syrah and Mourvèdre from various countries. “That was the tasting that really solidified things for me,” he explains. “We were always talking about terroir but the wines in this tasting were all so drastically different in style, even though they were from the same grape varieties. If I had any skepticism about terroir, I was a believer after that.” Anderson left medicine behind, changing his major to Viticulture and Enology. After graduating, he worked at several Napa Valley wineries, from Colgin Cellars on Pritchard Hill to Terra Valentine in Spring Mountain District and Cliff Lede Vineyards in Stags Leap District. In 2012 he became director of winemaking at Pahlmeyer, where he earned a 100-point score for his 2013 Pièce de Résistance Cabernet Sauvignon. “It was one of those vintages with no regrets,” he remembers. “There was nothing I would have wanted Mother Nature to change. I felt like it was the best wine I ever made.” It was the first 100-point score given to Pahlmeyer. Meanwhile, Anderson’s love of Rhône varieties inspired him to start his own wine label, Kale, sourcing Rhône grapes from growers in California. “The original mission was to stick to vineyard-designate and blended Rhône-inspired wines,” he says. “I start with a theme or an idea of what I want to make. Once I decide on the style, I find the fruit.” Kale wines are constantly in flux, ranging from crisp, peach and pineapple-tinged Grenache Blanc and delicate rosés blended from Grenache and Cinsault, to red-fruited Grenache and Mourvèdre blends and deep purple whole-bunch Syrah. 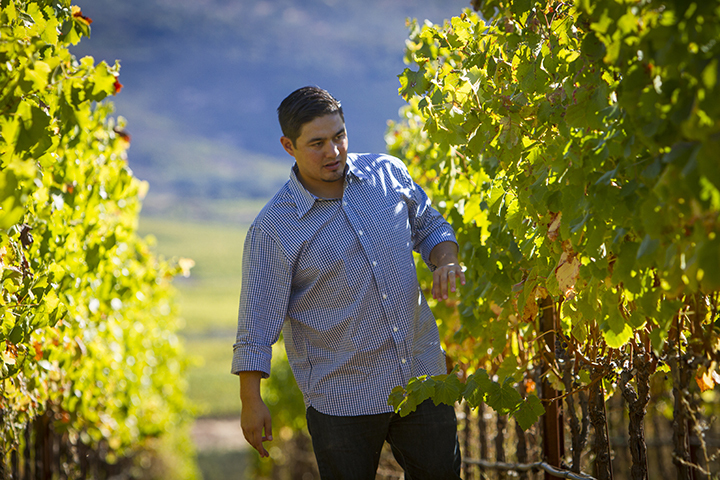 Kale sources some of his grapes from Kick Ranch Vineyards. “I try to make sure that none of my wines step on each other’s toes stylistically,” he explains. 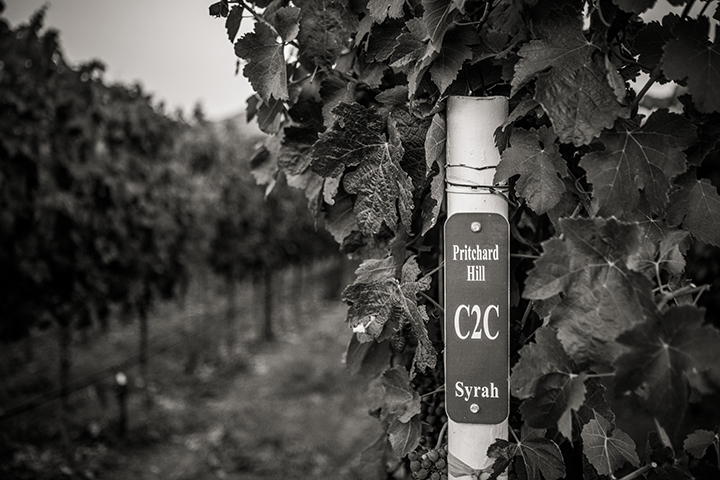 “There is no ‘Kale style.’ I want to make wines that are as drastically diverse as possible. I want to be true to that diversity—that’s what got me interested in wine, particularly Rhône varieties, in the first place. I’m more interested in being surprised—or surprising—than playing it safe.” Anderson produces about 1,000 cases of white, rosé and red wines per year. 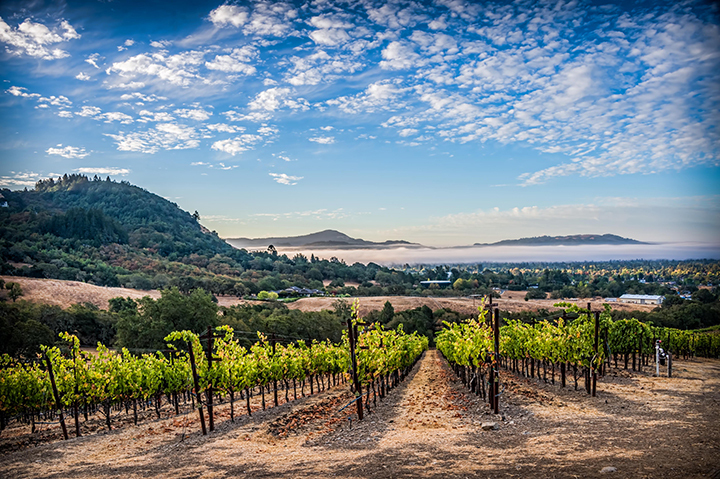 Although Rhône varieties have found some success in Central California, the Cabernet Sauvignon-driven Napa market has proved challenging. “Rhône wines are a hand-sell,” he explains. “Cabernet Sauvignon is king. The brand of both Napa and Cabernet Sauvignon is so strong; Rhône varieties aren’t well-established here.” Despite this, Anderson is convinced that Rhône grapes can thrive in Napa and express the terroir of Northern California in a way that Cabernet Sauvignon cannot. Want to learn more about wine? Follow Robert Parker Wine Advocate on Facebook, Instagram and Twitter. He’ll be celebrating his 66th vintage this year. The sommelier looks back on his adventure-filled career.